Lucky for me, my corporate environment is business casual for the most part. Having the freedom to wear other types of styles in the office is fun while making sure that I am maintaining that professional boundary. 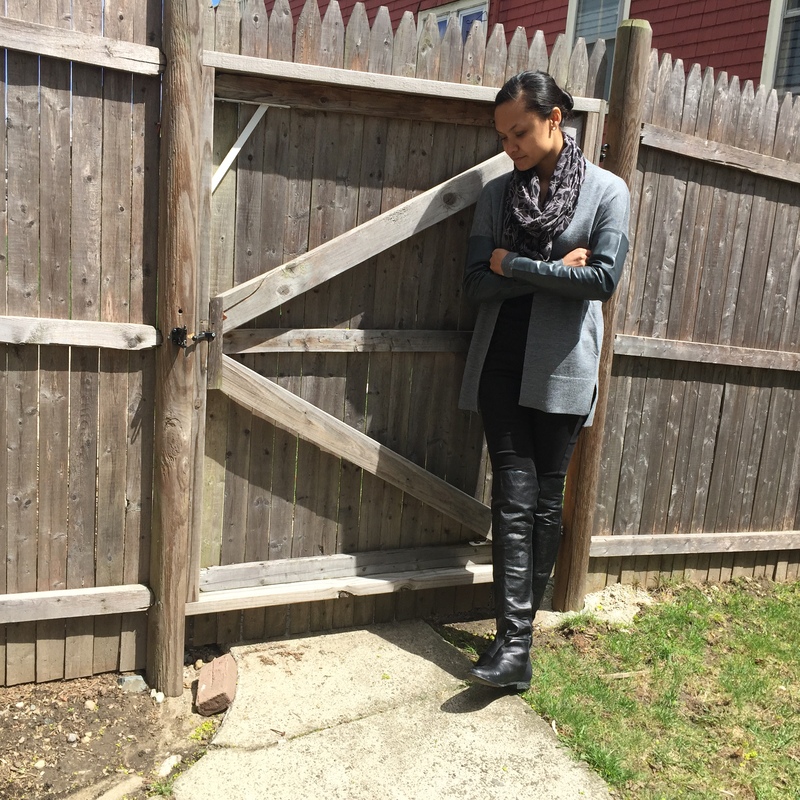 Yesterday, was a chilly day that did not resemble spring at all so I made sure to wear layers to work. (I’m always cold) This April chill prompted me to think about how I haven’t packed away my winter clothes yet, and for good reason. Phew! I decided to take out my gray leather sleeve cardigan that I never had the courage to wear to work. I thought that it was too contemporary and maybe a bit too casual, but I did it! I might not be able to wear this cardigan again for the next few months so why not enjoy it right? 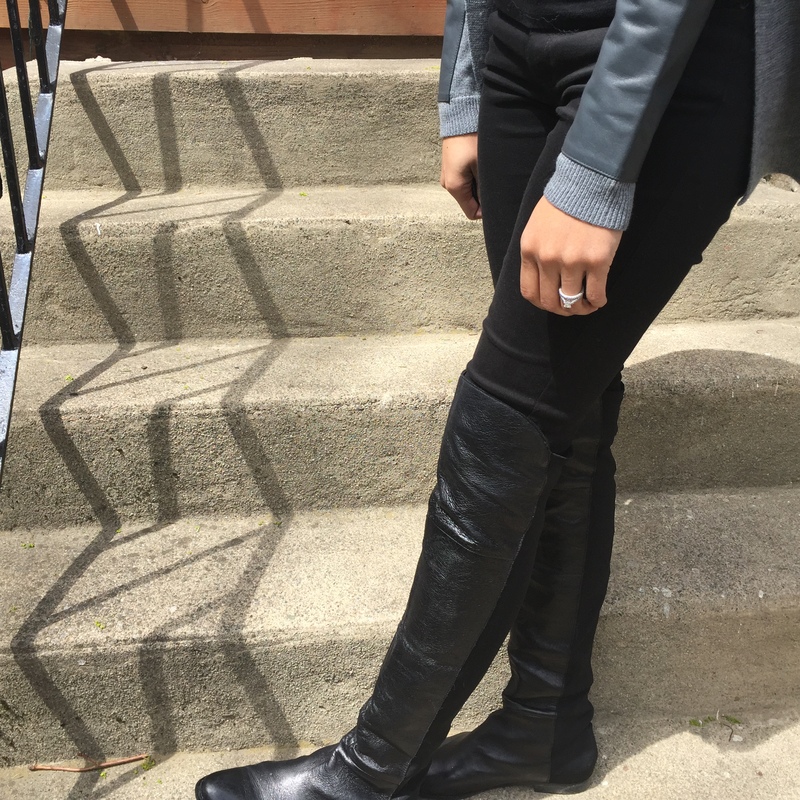 Then I thought to myself – lets take this one step further…leather boots! I got these boots for Christmas from my better half and all the snow this winter has prohibited me from wearing them more often. 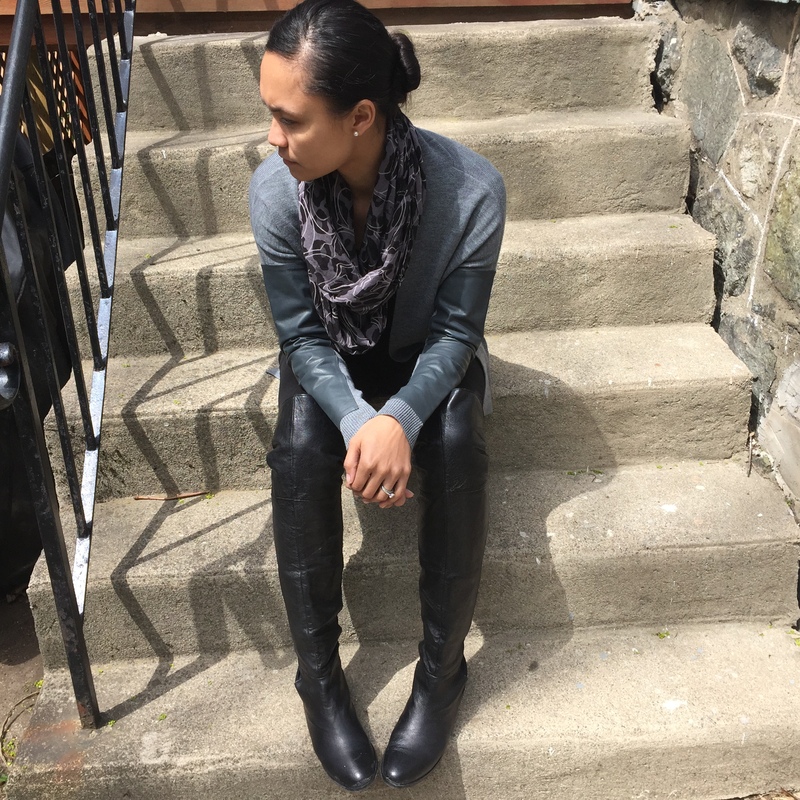 It is a black leather over the knee flat boot with a stretchy back. Last but not least, I added my black and white coach infinity scarf. This was a also a Christmas gift from my dear friend, E. She knows my style so well. 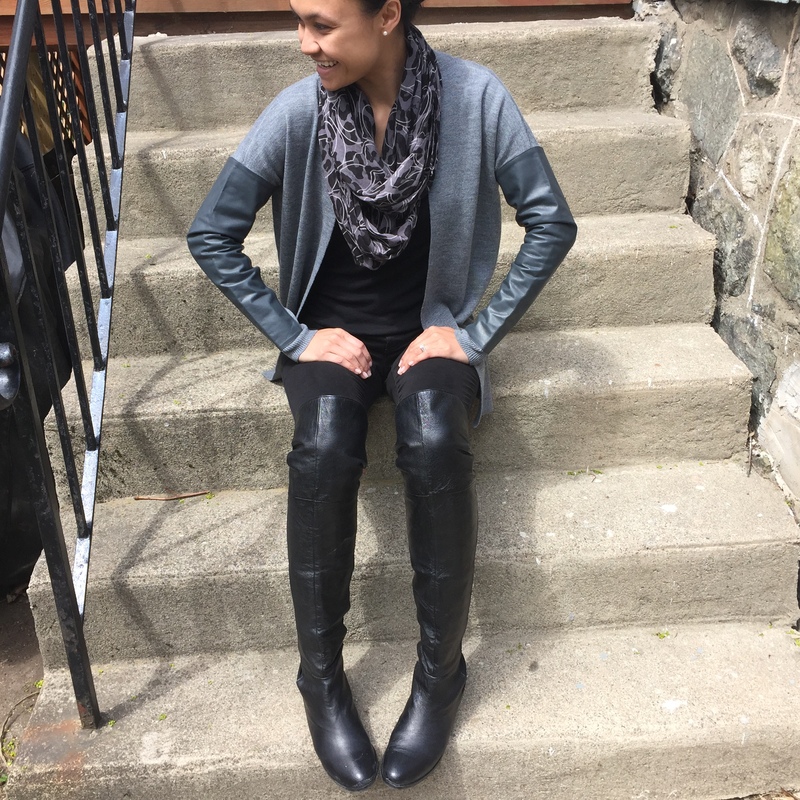 It was great for keeping me bundled up outside but still stylish and light enough to wear around the office as an accessory. Thank you so much for reading – come back and visit soon.